For those that don't know Telltale Games, they created story-driven episodic adventure games that allowed changing outcomes and replay rich features. They created titles The Walking Dead, The Wolf Among Us, Tales from the Borderlands, Minecraft: Story Mode and many more. Each title showcased their unique artistic style and had rich character development that inspired actual feelings for the characters and their decisions. This news comes as a huge blow to Walking Dead fans, as the final seasons had been scheduled to release over the next several months to complete the storyline. Despite the incomplete episodes for The Walking Dead: The Final Season, this news comes with a heavy heart as I personally feel connected through their games and rich storytelling. I've personally played through several of Telltale's titles and can honestly say; it's been an honor to experience the character development and rich stories their team has created. Today Telltale Games made the difficult decision to begin a majority studio closure following a year marked by insurmountable challenges. A majority of the company's employees were dismissed earlier this morning, with a small group of 25 employees staying on to fulfill the company's obligations to its board and partners. 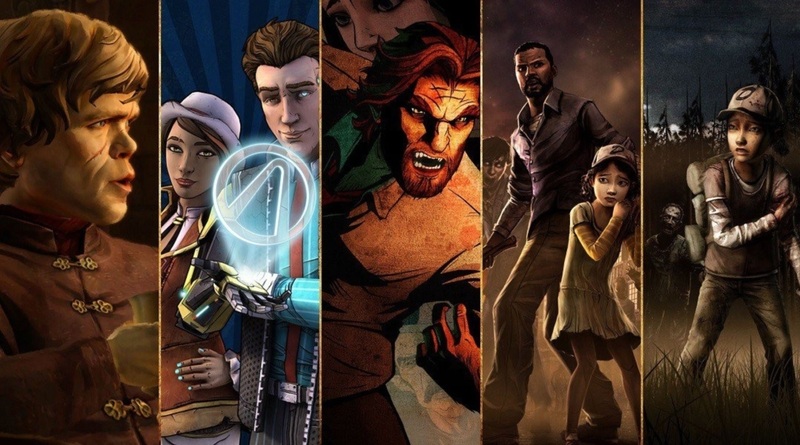 It's been an incredibly difficult year for Telltale as we worked to set the company on a new course. Unfortunately, we ran out of time trying to get there. We released some of our best content this year and received a tremendous amount of positive feedback, but ultimately, that did not translate to sales. With a heavy heart, we watch our friends leave today to spread our brand of storytelling across the games industry. For those that followed Telltale and their announcements, it should be no surprise that the recently announced second season for The Wolf Among Us and Stranger Things has been canceled. With nearly 250 employees laid off and only 25 employees remaining to complete obligations, it's understandable. Despite the negative news surrounding Telltale management, overwork, and the lawsuit from previous CEO Kevin Bruner; Telltale created unique and refreshing single player story driven adventures that I will surely miss. For those that haven't experienced any of their games, I strongly suggest paying respects (by purchasing their games) to the hardworking staff that created these touching, funny, and brilliantly illustrated pieces of work. I wish the best to all the hardworking staff that worked at Telltale! You spark real feelings in my friends, children, and myself. Thank you! © 2018 BenchSpotter All Rights Reserved.